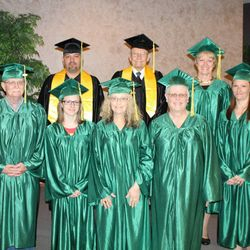 The Greenwood Bible College was established in August 2004, for the purpose of training and equipping those in the Body of Christ in the area of Divine Healing and Deliverance. It is a four semester college with each semester lasting nine weeks. A pdf workbook is provided for each semester. The teachers are all well-known within the ministry of deliverance and healing. This is an interdenominational college based on God's Word. 9. Praying For Those Who Have A Stronghold. The cost per semester is $40.00 which includes a pdf workbook in which you can download and print for permanent keeping. It is fill-in-the-blank and the answers are given as you watch the live video. Each course will last nine weeks and you will be required to attend at least six classes. You will be given an open-book test on each chapter, which you must email the following week, in order to receive credit. You will also be required to read a book on the related subject (there is a suggested reading list) and write a one-page book report on it. There will not be a final test. At the end of each semester you will receive a Certificate of Recognition if you complete the requirements of the course. 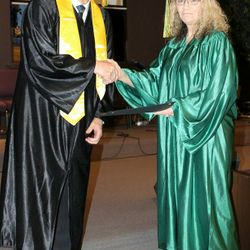 At the end of the year, upon completing all four semesters, each student will receive a Diploma. 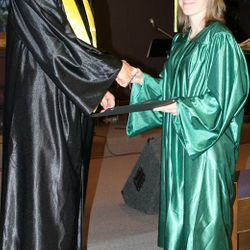 There is a graduation ceremony held at First Assembly complete with caps and gowns where you will receive your diploma. Each class begins at 7:00 PM and the video last 45 minutes to an hour and the rest of the time is discussion concerning what was just taught. All blanks are filled in at this time. All classes are held at the First Assembly of God Church in Greenwood, Arkansas at 725 Park Drive. Desks are provided for taking notes. Our classes are on the Internet, Once you are enrolled, you will come to this website and click on the class you signed up for. The classes are pre-recorded with a discussion at the end. After the video presentation, you may submit questions about the class via email. 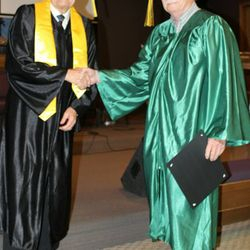 First Assembly of God in Greenwood, Arkansas DOES NOT endorse any ministry that has gone through the Greenwood Bible College (GBC), nor does it support any ministry that would facilitate the Greenwood Bible College (GBC) curriculum. All curriculum is requested to be facilitated through the Greenwood Bible College (GBC) by First Assembly of God in Greenwood, Arkansas, either in house or online class. This is for your protection as well as ours. 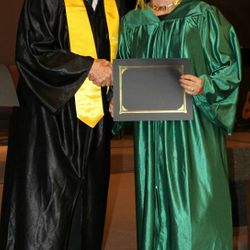 After a Peer Review and evaluation and in recognition of meeting the High Standards of Academic Excellence, GREENWOOD BIBLE COLLEGE has been awarded Associate Member Status by the National Accrediting Agency of Private Theological Institutions and has received full accreditation of curriculum, faculty and administration. 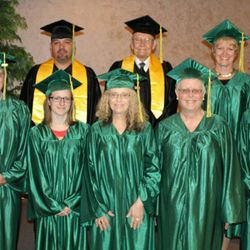 Greenwood Bible College is thereby accredited to grant Diplomas in THE MINISTRY OF HEALING AND DELIVERANCE.